Last fall we took on our biggest project to date. It was a doozy. But a very necessary doozy that would have cost thousands of dollars to hire out. 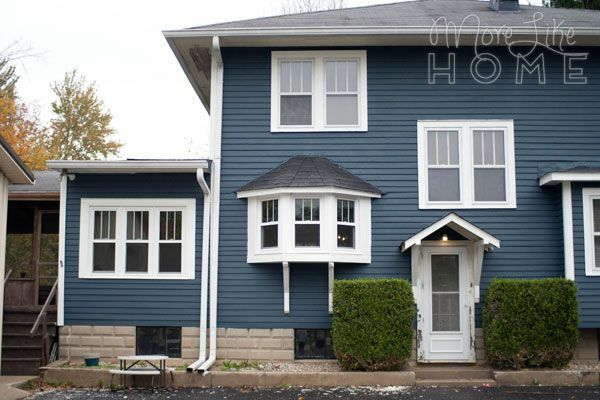 We painted our house! It was an enormous job but we're here to tell you that it is actually totally doable, and it can save you a big chunk of change. 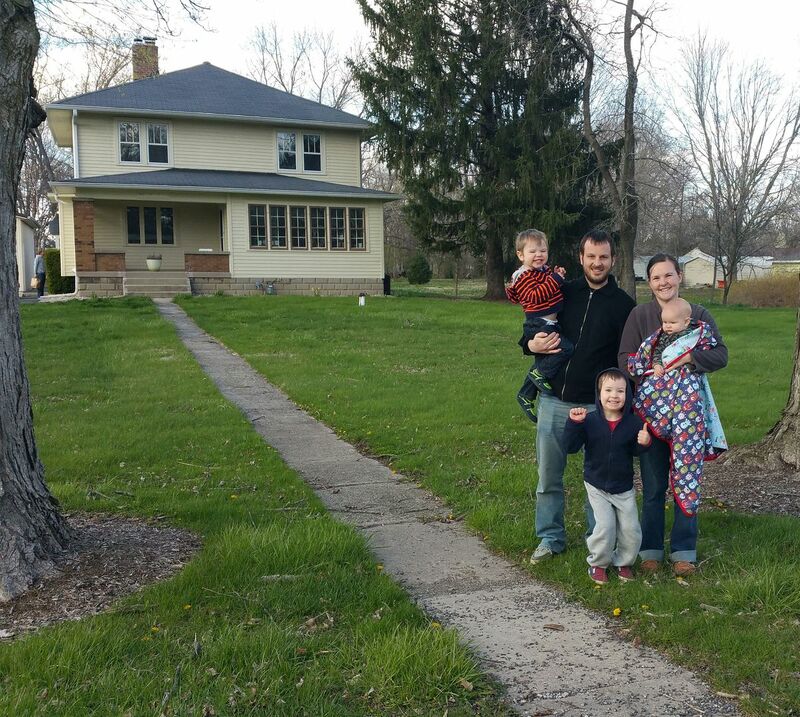 We knew when we bought our old yellow farmhouse that it came with 90-year-old wood siding. Which was pretty cool. 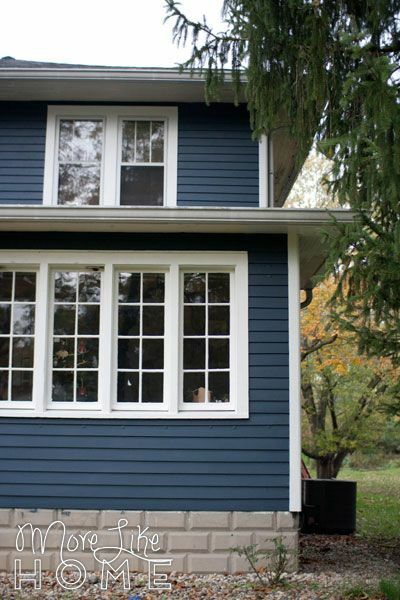 But in our new house excitement we maybe overlooked just what condition that siding was in. After our first winter, we started to notice that it was looking a little worse for the wear. Then we found out from a neighbor that it hadn't been painted it about 15 years. And it showed. We spent the summer trying to decide if we should paint it now or hold off until next year. And then we had a hail storm that knocked off huge amounts of paint (so I guess it did some of the work for us!). Now it was painfully obvious that we needed to do something before things got any worse. It was so pretty in the fall! Spoiler Alert: We went with the blue. And we love it. And the boys love it. And all last summer our toddler called everything in the whole world "the blue one" so it seemed like it was just meant to be. I'm going to jump on into the details, but if you're looking for more "after" pics they're down at the end of the post. And you can find even more pics and our painting progress report after the first coat here. 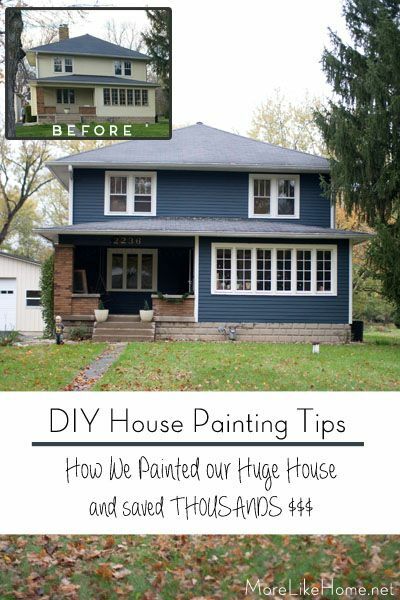 Today I want to share our best tips and everything we learned by DIY painting our house. It's not a project to undertake lightly, especially if you have as much surface area to cover as we did. I'm not kidding when I tell you we spent weeks of nightly painting to get it done. 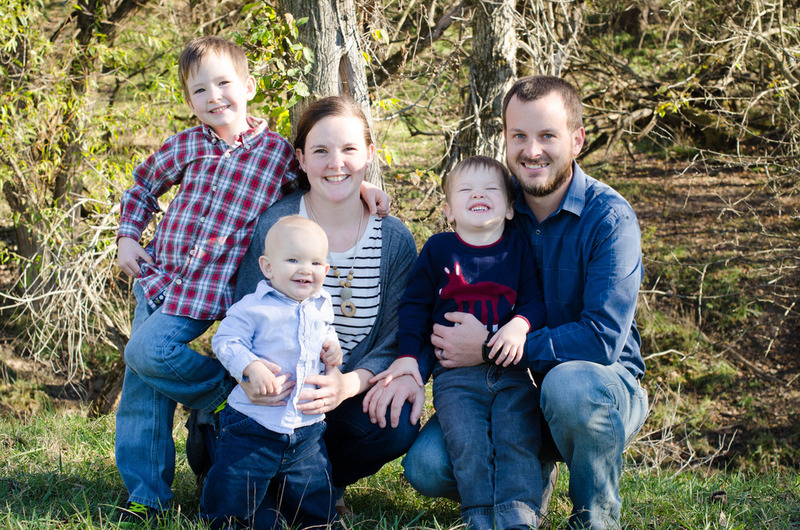 We had a couple weekends of family coming to help, and Husband spent nearly all of his free time painting most of our house by himself (my first-trimester self was not much help). But with that said, we did manage to pull this whole thing off on our own. So it's definitely doable. 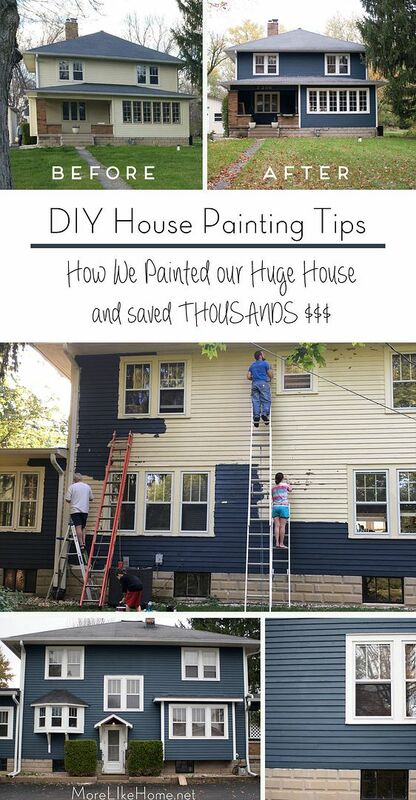 And we saved thousands of dollars over hiring a painter for a house this size. Plus the steps aren't difficult, it's just takes a while to execute them over such a large area. 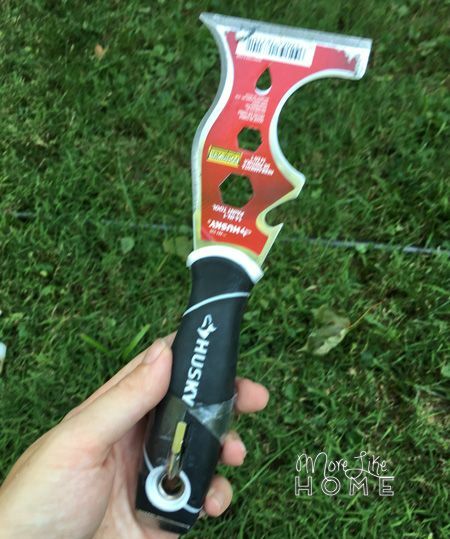 general tools for removing gutters, etc. Not a crazy sounding list, right? It seemed pretty silly that such a simple job took so long! Step 1: Power Wash that bad boy. We tried borrowing a friend's power washer but ultimately ended up renting a higher powered (3100 psi) model from Sherwin Williams. It was something like $30 for 8 hours of use, and husband managed to get around the whole house in that time. 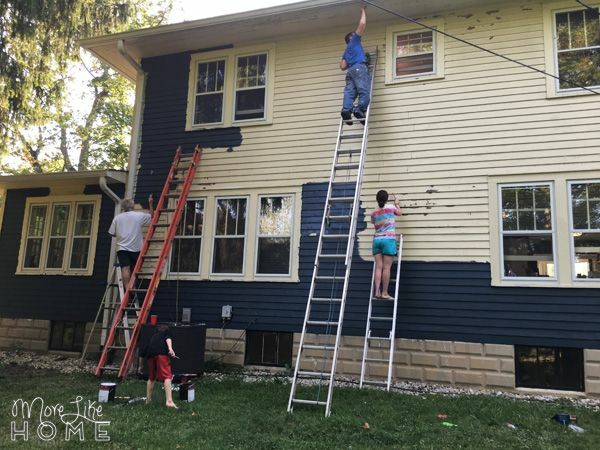 Then we let the siding dry out for several days before we started painting. We were warned multiple times to let it dry completely, and not start painting until we were certain it was dried out. Step 2: Scrape off any loose paint. The power washer did a good job of removing dirt and grime, but there was still a lot of loose paint left behind. 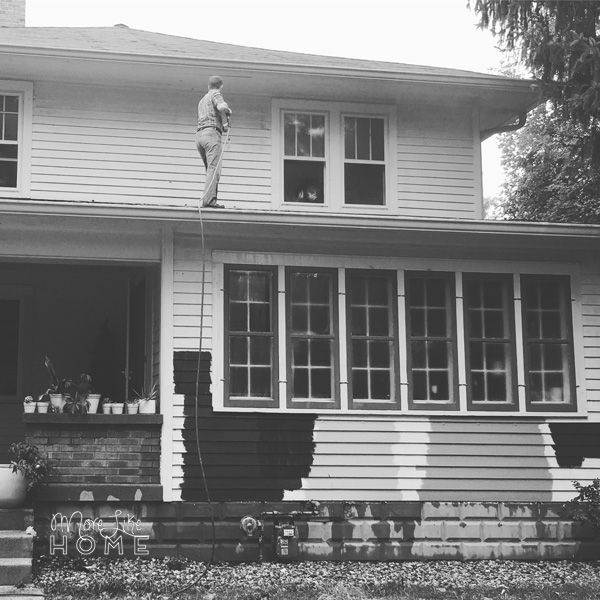 The last few times the house was painted the scraping was not thorough. We used stiff metal scrapers to remove it. Step 3: Caulk the cracks. 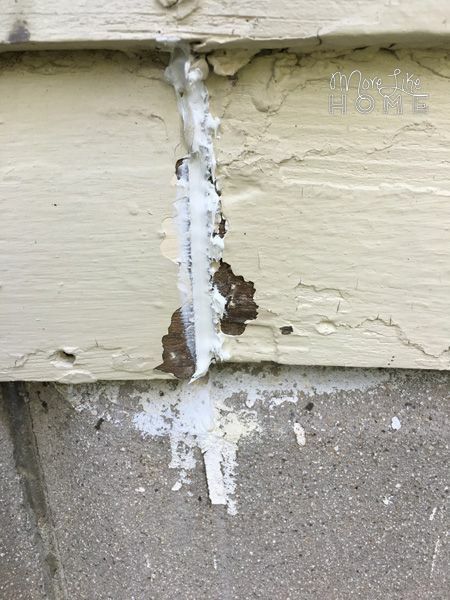 We used a paintable silicone outdoor caulk to fill in any cracks and holes in the siding. 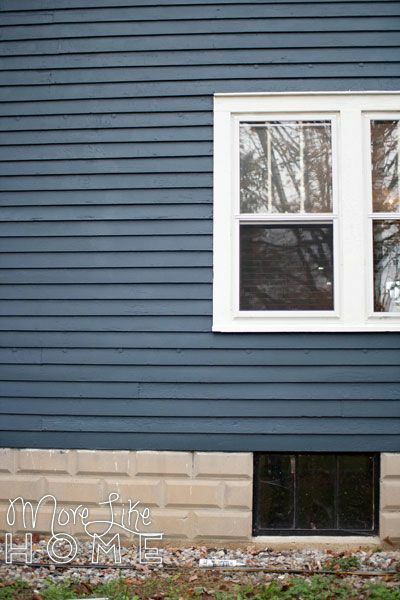 There were places where the wooden siding had warped or shifted enough to leave small gaps between the boards as well as a few small holes. 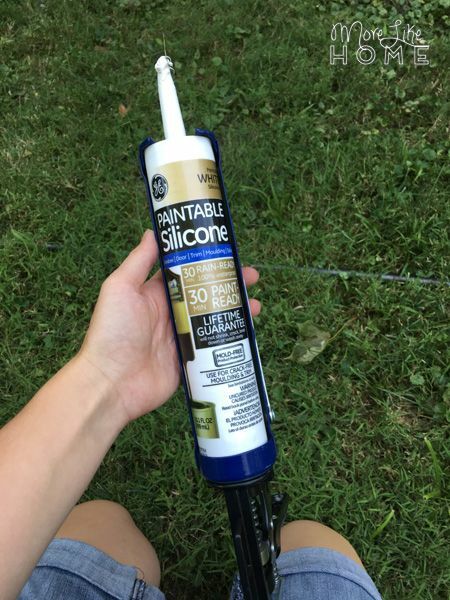 It's best to get those sealed up and prevent any moisture from getting in and causing damage. Let it dry for the time recommended on the bottle. 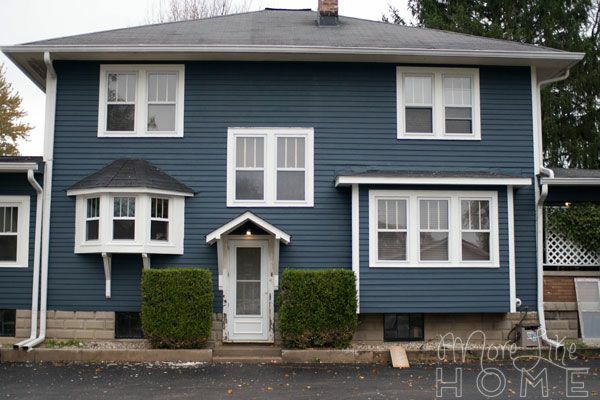 In a few places, the siding boards were loose or warped. Fortunately they weren't so bad that they had to be replaced, but we did use wood screws to secure half a dozen panels. Then we were ready to start painting. After asking around and a little google searching, we decided on Behr Marquee exterior paint from Home Depot. 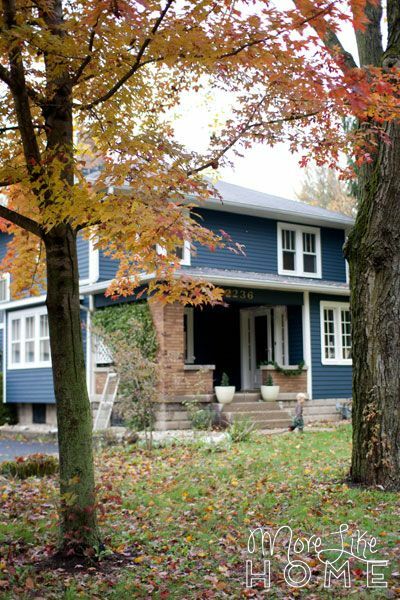 It's one of the best rated paints on the market and is supposed to last nearly twice as long as the cheaper options (we're hoping to get 15-20 years before we have to repaint!). The Home Depot staff said it's like "wrapping your house in cellophane." 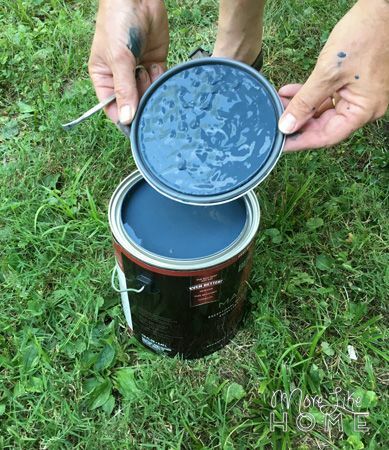 Fortunately we started painted right around Labor Day and were able to get a $10 rebate on each gallon of paint. 2 gallons of Snowy Pine in a satin finish. (They only carry a few cans at a time and had to order more to get enough, but we were still able to get the sale price!) They normally sell for $45, but we saved $10/gallon during the Labor Day sale which brought the price down to $35/gallon and saved us a total of $100! We've found that most hardware stores have a big paint/stain sale during labor day and memorial day. If you're planning a big project like this those are great times to buy! And if you just did some quick math in your head, you know we only spent $350 on paint. 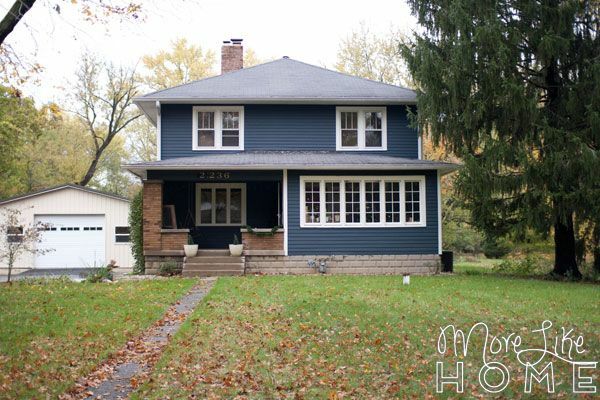 For a good size house. And we got some of the best paint on the market. 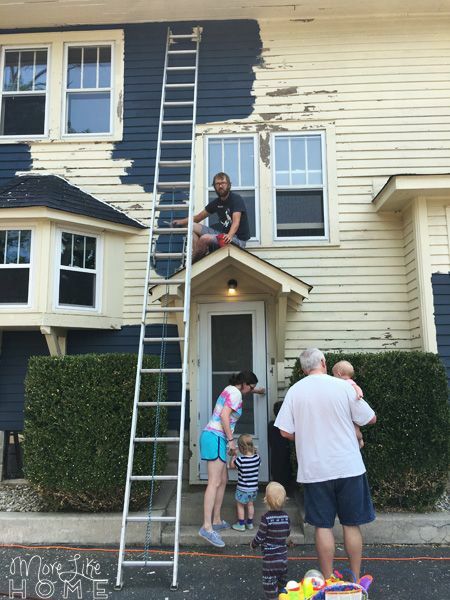 Seriously, we save thousands over hiring a painter. 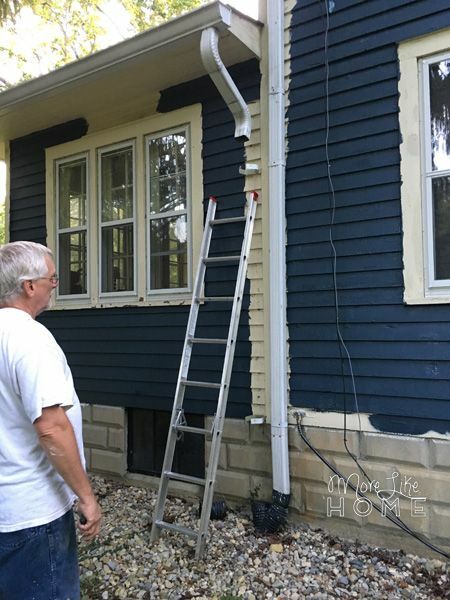 We took the downspouts down to paint behind them. And then it was seriously just hours upon hours of painting. 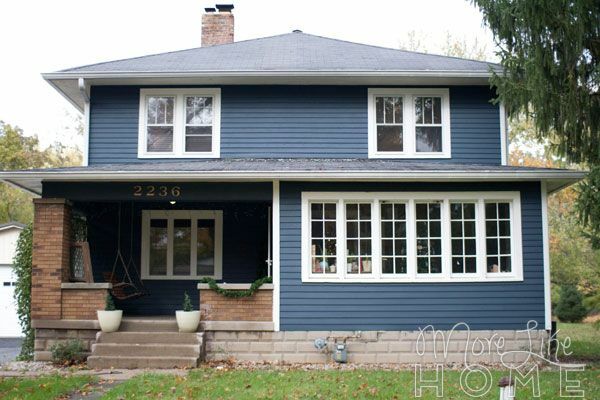 Blue for the siding and white for all the trim and soffits. We followed the recommendation to do two coats because we want this to last as long as possible. Little cousins checking the progress. We also gave our house numbers a little facelift with some gold spray paint. 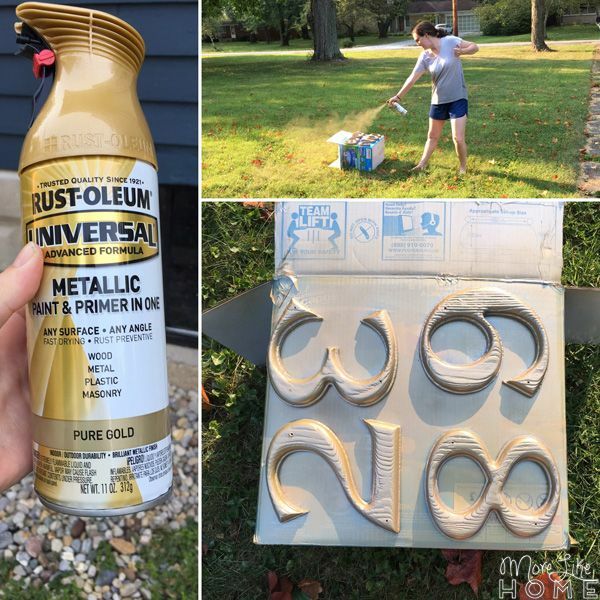 This is my sister and this is definitely proper spray painting form. And that's about it. 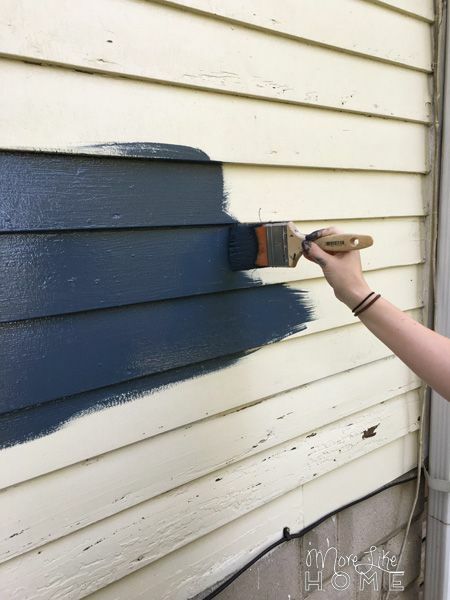 We/husband started at the tail end of August and painted until it was too cold to paint any more (we still have to finish the second coat on the back this spring). And I would say we did at least some painting most days. There were days it was too blazing hot, then days it got too cold, days we had other plans or were out of town, but there were a lot of days he would come home, change clothes, and paint straight through until after the kids were in bed (the man is a hero) before he came in for a warmed-up dinner. It was not super fun for either of us. But you gotta do what you gotta do, and now it's done (almost) and we survived and it's great. 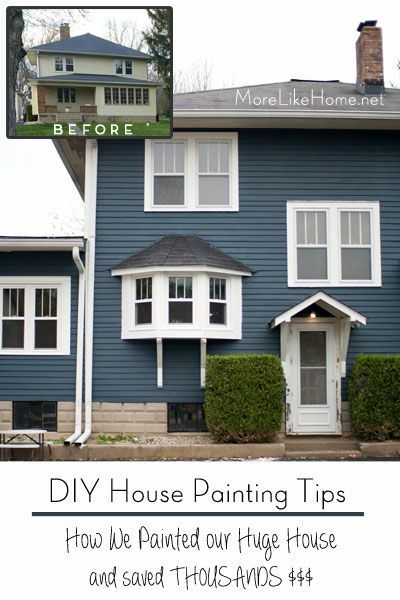 Which is probably not the best house painting commercial. But I just want you guys to know - it's a big job. So you have realistic expectations. Ok? 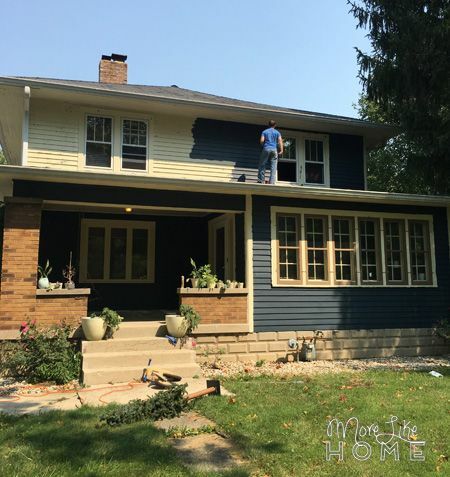 A positive side effect of the project was that we inspected basically every inch of the outside of the house in the process. This revealed a few other issues that we were able to fix before they became big, expensive, problems! 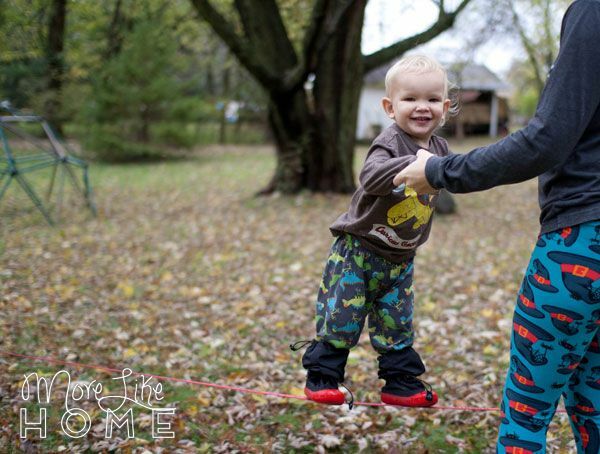 And here are some realistic expectations for little boy on a slackline. 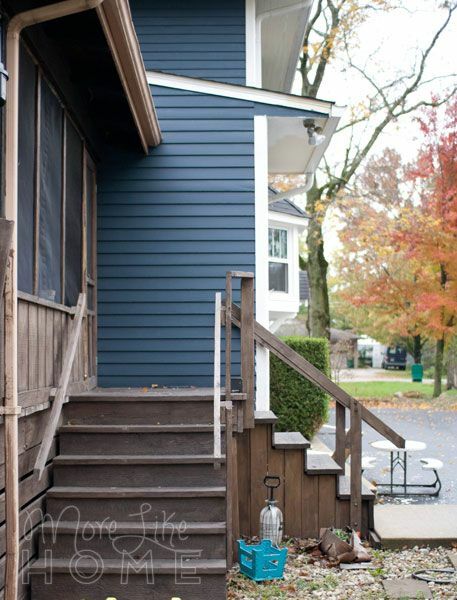 We'd love to hear if you've ever painted your house and any tips or advice you've picked up along the way! 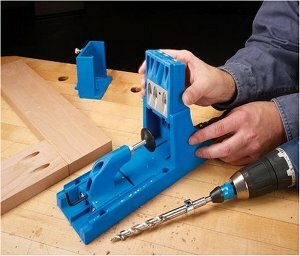 What's the biggest DIY project you've ever taken on?